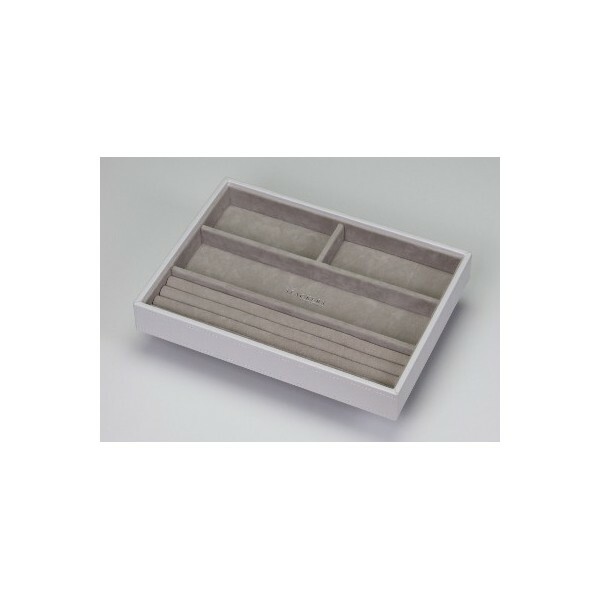 White stackable tray for storing rings - for use with our lidded jewellery box. 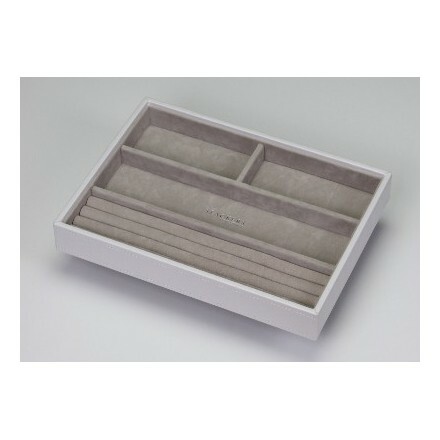 White stackable tray for use with our lidded jewellery box. Features grey velvet lining and a large section for the safe storage of rings with three further compartments for the storage of bracelets.